Fluent in Spanish and English, Joachim de Posada, CSP, Ph.D. is a world-renowned motivational speaker and author based in San Juan, Puerto Rico. He has entertained and inspired audiences in more than 60 countries, and three of his books have become international bestsellers. As a behavioral expert, his training focus includes sales, management, leadership and team building. His consulting clients include many of the world’s largest corporations--e.g. American Airlines, ExxonMobil, IBM and Verizon--as well as major sports organizations like the L.A. Lakers and New Jersey Nets. 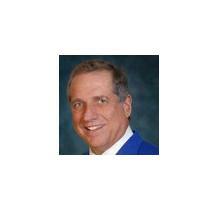 Joachim de Posada holds a Bachelors degree in Business Administration, a masters degree and a Doctorate in Psychology. He once served as Director of the Learning Systems Division of Xerox Corporation, where he helped develop many highly successful business-training programs. He then became a consultant for Learning International and Achieve Global. He also helped Franklin Covey Corporation expand into Latin America, working in both their domestic and international divisions. Since 1988, Dr. Posada has been an adjunct professor at the University of Miami (Florida) teaching Leadership, Psychology Applied to Sales, Negotiating Skills and Time Management. And presently, he writes a weekly column for the Puerto Rico Daily Sun and has a motivational capsule three times daily on WOSO, the only commercial English Radio Station in San Juan. Joachim de Posada has served on the Board of Directors of the National Speakers Association and as a presenter at TED U. He is a member of the American Society of Journalists and Authors, the American Psychotherapy Association, the International Management Consultants Association and several other civic, cultural and professional organizations. 0	jplist-folder-All-Posts-211 jplist-folder-All-Posts-211 Article-Article	0	10/17/2012 18:52:00	The art of communicating effectively is so important not only in business but also in your personal life.↵There are some words that provoke a negative reaction just by hearing the word. When we hear those words in a conversation, we stop paying attention, the communicator loses credibility and you probably will discard everything else the person will try to communicate. These words when our brain hears them, prompt us to react defensively and sometimes aggressively by emotional people.↵↵Studies have been conducted to identify some of those “trigger words that bring out immediate and negative reactions from listeners. 1	jplist-folder-All-Posts-211 jplist-folder-All-Posts-211 Article-Article	0	10/17/2012 18:51:00	Have you noticed that there are different sized lobsters? Yes, the same can be said of human beings but the difference is that human beings get their size through genes, lobsters play a part on how big they get. When a lobster wants to get bigger, it goes down deep down in the sea and finds a good rock, hides behind it and proceeds to take its shell off. It is logical that when the shell is off, the lobster becomes very vulnerable to everything that can harm it or even kill it. In other words, in order to get bigger or better, it has to risk everything, only then will it be able to grow. 2	jplist-folder-All-Posts-211 jplist-folder-All-Posts-211 Article-Article	0	10/17/2012 18:49:00	Charisma: Some people have it and some dontThere is a very competitive presidential election going on in the United States and the hidden factor behind it is "charisma." 3	jplist-folder-All-Posts-211 jplist-folder-All-Posts-211 Article-Article	0	10/17/2012 18:48:00	A gentleman I admired tremendously named Viktor Frankl lived to the young age of 92. Out of all those years he was fortunate to live, three of them were spent in a German concentration camp. Those years were practically stolen by the Nazis and as you all know my dear readers, time lost cant be recovered. Persistence and a "can do" attitude are key factors to succeed. 4	jplist-folder-All-Posts-211 jplist-folder-All-Posts-211 Article-Article	0	10/17/2012 18:46:00	Persistence and a "can do" attitude are key factors to succeed. 5	jplist-folder-All-Posts-211 jplist-folder-All-Posts-211 Article-Article	0	10/17/2012 18:44:00	"One of the biggest problems in my company is execution. Everyone has great ideas but few are implemented. "This is a very true statement, one I have heard in many of the companies I have worked with. It is in fact, one of the biggest problems in many organizations, including of course, government entities. 6	jplist-folder-All-Posts-211 jplist-folder-All-Posts-211 Article-Article	0	10/17/2012 18:42:00	There is perhaps no psychological skill more fundamental for human beings than resisting impulse. It is the root of all emotional self-control, since all emotions, by their very nature lead to one or another impulse to act. 7	jplist-folder-All-Posts-211 jplist-folder-All-Posts-211 Video-Video	0	08/13/2012 14:27:00	Put a group of 4-year-old children in a room with a bowl of marshmallows and tell them not to eat them for 10 minutes. Most of them cant resist and eat the sweet snack right away. A minority find ways to delay the gratification, follow instructions and get the pay off of double the marshmallows at the end of the experiment. Dr. Joachim de Posada has spent a lifetime studying human behavior and translated some of the lessons learned into the worldwide best selling book, “Don’t Eat the Marshmallows. In the business world, Dr. de Posada applies his lifelong study of human behavior to help executives and leaders better understand how their teams are wired and how to use this knowledge to improve results. In this video, Dr. de Posada talks about exploring the psychology of sales and the psychology of leadership to elevate the understanding of the team, their motivation, and how to manage through their likely patterns of success as well as failure.